This Complete Kit Includes a Dust Mop, Steel Frame, and Aluminum Extension Handle. The Dust Mop is hand sewn in the USA From High Quality Cotton Yarn. 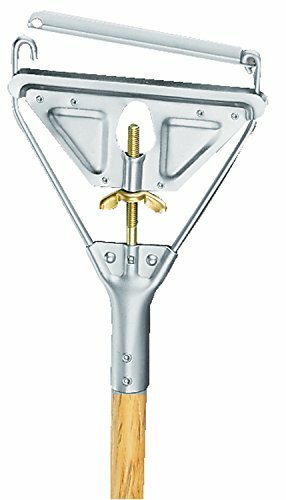 The Ergonomic Quick Change Head (foreign made) on the Handle Allows the Frame to Rotate 360 Degrees Providing Maneuverability in Hard to Reach Places. 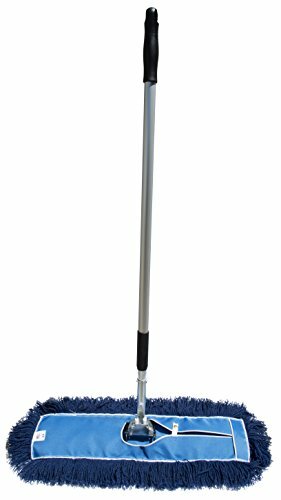 While Remaining Light Weight the Aluminum Telescoping Handle (Made in the USA) Ranges from 40" to 72" Long; Allowing it to Reach Under Objects or Adjust to Various User Heights. 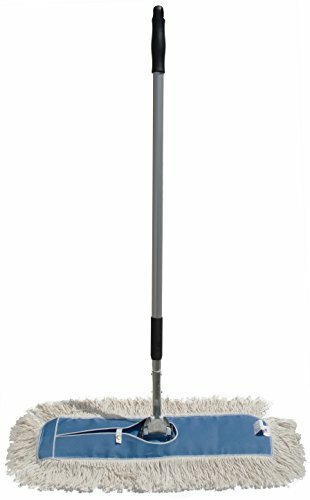 This Complete Kit Includes a 24 Inch Dust Mop, Steel Frame, and Aluminum Extension Handle. 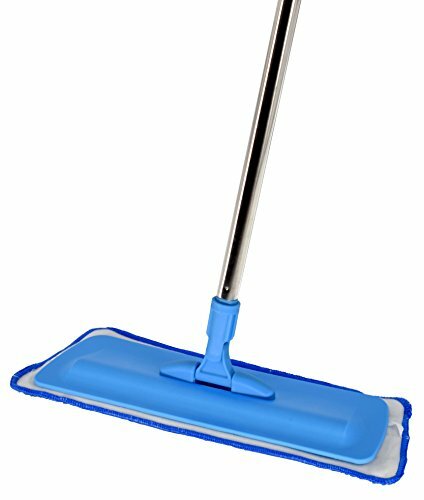 The Dust Mop is Made in the USA From High Quality Nylon Yarn Which Builds Static Charge to Attract Dust and Dirt Particles. The Ergonomic Quick Change Head on the Handle Allows the Frame to Rotate 360 Degrees Providing Maneuverability in Hard to Reach Places. 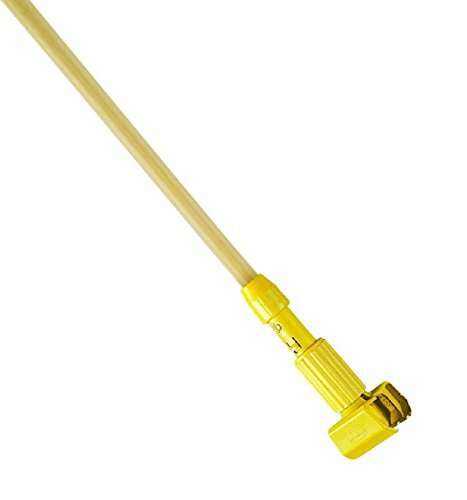 While Remaining Light Weight the Aluminum Telescoping Handle Ranges from 42" to 72" Long; Allowing it to Reach Under Objects or Adjust to Various User Heights. Easy loading. 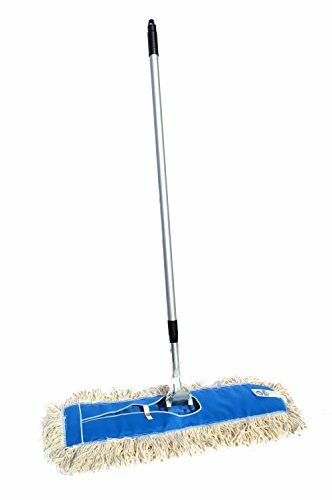 Fits mop heads #20 and up.Includes one mop handle. 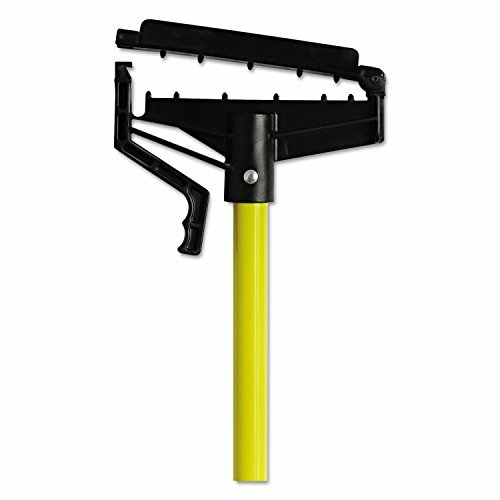 Gripper wet mop handles make removing and replacing mop heads easy and efficient. 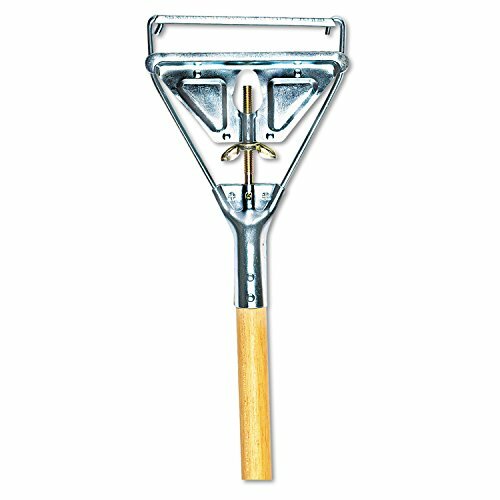 Gripper clamp style handles hold mop firmly between the jaws of the mop handle; should be used with 5" (12.7 cm) headband mops only. Locked-in antimicrobial agent protects against bacterial growth plastic jaws firmly grip mop head. Allows quick mop changes. Ideal for 5" wide headband mops. Compact Design and Space Saving Storage. The mop head has a pull tab for easy removal and machine wash. Handle angle has 180 pivot for tight spaces. Copyright © Wholesalion.com 2019 - The Best Prices On Quick Change Mop Online.